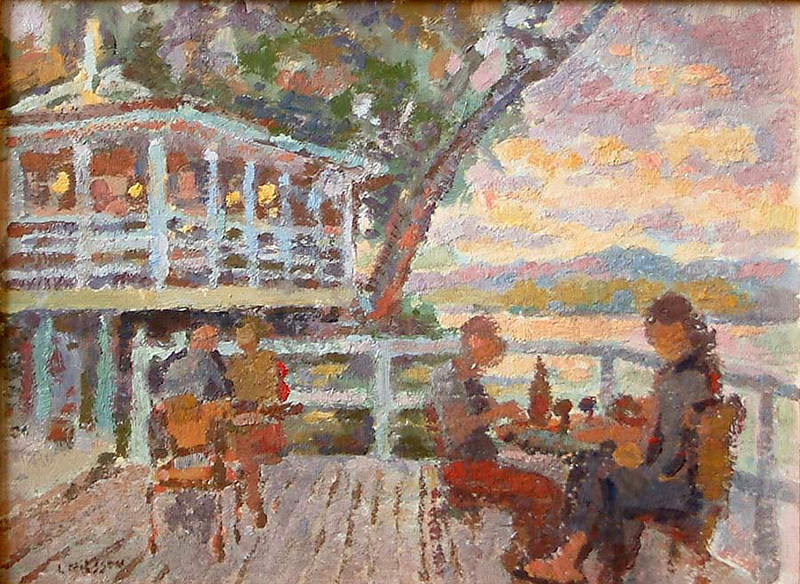 A limited edition fine art print of an original oil painting of figures at the Blue Oar Restaurant on a mid summer evening by Leif Nilsson. Fine art prints are available of this image. Signed limited edition of 250 fine art prints, from an original oil painting 9 x 12 inches by Leif Nilsson.